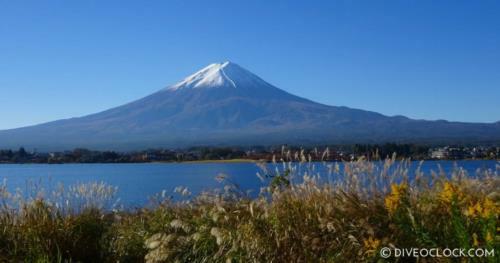 The scenic Fuji Five Lakes area holds breathtaking sceneries of Mount Fuji. Why conquer the mountain if you can explore it’s depths?! Let’s SCUBA Dive in one of the Fuji Five Lakes. From volcanic rock formations to a spooky dive area that looks like straight from a horror movie and if you like Japanese folklore, try to find Mossy - the lake monster of Lake Motosu.